Sometimes I forget how hard Benny Benassi's style of music is... I mean it's not hard energy or whatever you call it... but he does deliver some pretty pounding house beats. 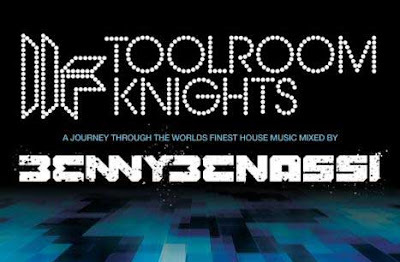 Toolroom Knights essentially takes the Benny Benassi that's on the dancefloor and puts it on a CD or iTunes download. His song choice is good, although some of the songs can get a bit much, in terms of blaring repetitive floor craziness. It is a decent listen. Top Songs: Deadmau5 - Hi Friend; Benny Benassi vs Iggy Pop - Electro Sixteen; Kos - Azteca. Benni Benassi website and other info.